Marian Rivera broke her silence over the pregnancy speculation when recent photos of her appeared to show with a growing baby bump. On Tuesday afternoon, the actress took to instagram to finally confirm the news with a photo of her second baby's sonogram. She wrote: "My heart overflows with gratitude and humility. Dong and I, with our Zia, have been gifted with the miracle of life! 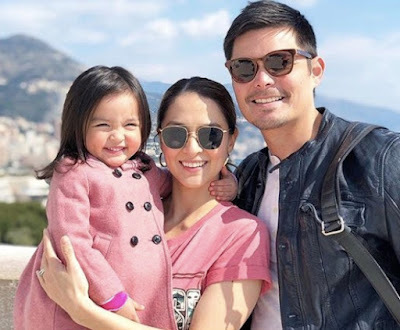 ❤️Looking forward to meeting our 'little one' soon"
Marian welcomed her first child with husband Dingdong Dantes last December 2015, almost a year since they got married.